The M-15 was to be the people’s crop duster of the future, meant to embody the rapid progress of socialism. Is the PZL M-15 Belphegor the world’s slowest jet, or the world’s heaviest biplane? Behold, the PZL M-15 Belphegor, the world’s only jet-powered biplane and also the world’s only jet-powered agricultural aircraft. Doesn’t look so hot, does it? The PZL M-15 was part of a 1970s era Soviet economic plan to replace the AN-2 biplane for the task of tending to the vast wheat fields of Ukraine and Poland which were critical to the USSR’s food supply. Interestingly, the M-15’s specifications were handed down from political leaders within the USSR; the M-15 was to be the people’s crop duster of the future, meant to embody the rapid progress of socialism. State of the art technology would be used to create the best darn crop duster that the world had ever seen—or that was the plan, anyway. The political constraint imposed on the hypothetical next-generation crop duster was that it would have to be jet powered because jets were thought to be the future of all aviation at the time. It also turns out that the Politburo (or Political Bureau of the Central Committee of the Communist Party of the Soviet Union) didn’t realize that jets are terrible at tasks like crop dusting. The Polish engineers behind the PZL M-15 weren’t about to ruin their tentative independence from the USSR’s main aircraft production corpus by producing a plane that didn’t meet the spec, and so the abomination of the M-15 began to take shape, literally. Polish engineers recognized the difficulty of using a heavy jet engine in a plane that must fly slow and low, and quickly invented a solution which took cues from the AN-2 that the M-15 was intended to replace. The M-15 would be a biplane to produce enough lift, and, to protect the intake of the engine from debris, the engine would ride on top of the fuselage. In essence, the M-15 would take a common Soviet jet engine, and build a crop dusting plane around it in the hope that it would end up working better than the AN-2. 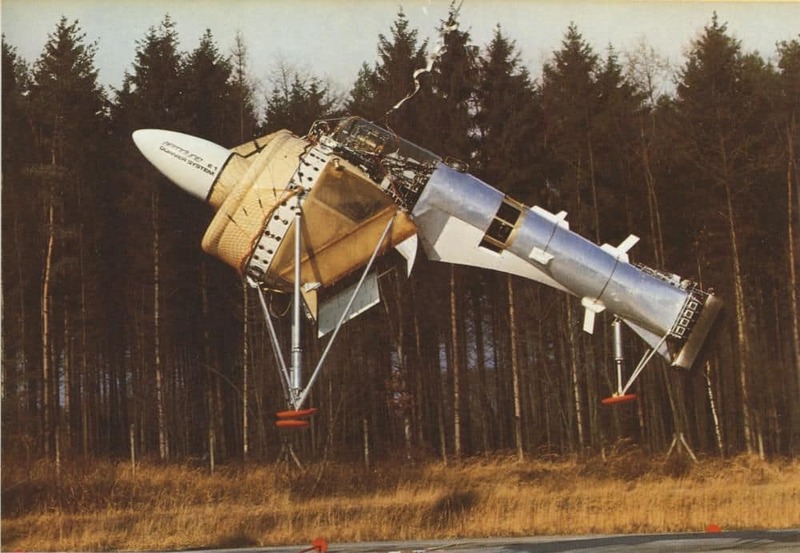 Originally produced in Poland, the PZL M-15 was beset by quite a few problems right out of the gate, with some issues being more serious than others. Simply put, the M-15 didn’t retain the classic biplane aesthetic of the AN-2, and instead was an ungainly monster that didn’t clearly belong in the sky or on land. People hated the way that the M-15 looked, and christened it “Belphegor” after the biblical demon of greed. Not a great start for the new workhorse of the USSR’s breadbasket. It’s no surprise why the Belphegor is so ugly: the Belphegor’s sets of wings are connected by the fuselage as well as two apple shaped pillars, which are hollow. Inside of the hollow pillars lies the crop dusting chemicals required to perform its job along with the pressurized air system which disperses the chemicals. Looks and crop dusting aside, jet engines are much harder to maintain than the AN-2s that agricultural aircraft mechanics were accustomed to in the late Soviet era. Even once mechanics were properly trained to service the M-15, they were often short on parts due to the shortcomings of the Soviet supply chain, leading to a lot of hours spent on the ground rather than above the crop fields. Needless to say that the aircraft the M-15 was meant to replace—the AN-2—had none of these problems whatsoever, and continued to serve the same role during the same time period. For a jet, it’s hard to beat the lift that the M-15 airframe provides on its own. It’s also hard for most jets to go as slow as the M-15 does without stalling. The M-15 cruises at around 80 knots, and stalls at 58.5 knots. Unfortunately, the farming staff responsible for actually flying the M-15 couldn’t appreciate these features, as they were used to using very forgiving propeller-based biplanes which could more easily tolerate subpar flying and landing on rough airstrips. Early M-15s suffered from extreme abuse, and couldn’t ever get the maintenance that they needed afterward. Predictably, this led to even more time spent on the deck rather than dusting the crops. Far too late, civil aviation authorities recognized that transitioning to using the M-15 would require a substantial amount of re-education of the agricultural pilots. Early exposure to the M-15 proved that many immediately pilots picked up on the plane’s weaknesses in comparison to the less sophisticated planes they were used to. The M-15 handled worse than the politically “obsolete” AN-2 and didn’t offer substantially increased payload capacity or range. On the occasions that it was able to do its job, the M-15 was an expensive, loud, and over-engineered crop duster that was subject to constant comparison to its superior predecessor. 175 PZL M-15s were produced out of a total of 30,000 planned. It’s quite surprising that there were as many produced; the M-15 was panned for all of the aforementioned reasons well before leaving the prototype stage. Unfortunately, it appears politics came before effective jet design and then forced an ineffective jet to dust the crops for years out of stubbornness. Bizarrely, as the M-15’s production run dragged on, more and more AN-2s were ordered and adopted for the crop dusting role. The M-15 had its lunch eaten by the very aircraft that it was intended to replace, and eventually, production stopped in recognition of this. The PZL M-15 Belphegor is remembered fondly in Eastern Europe despite its abysmal performance record. 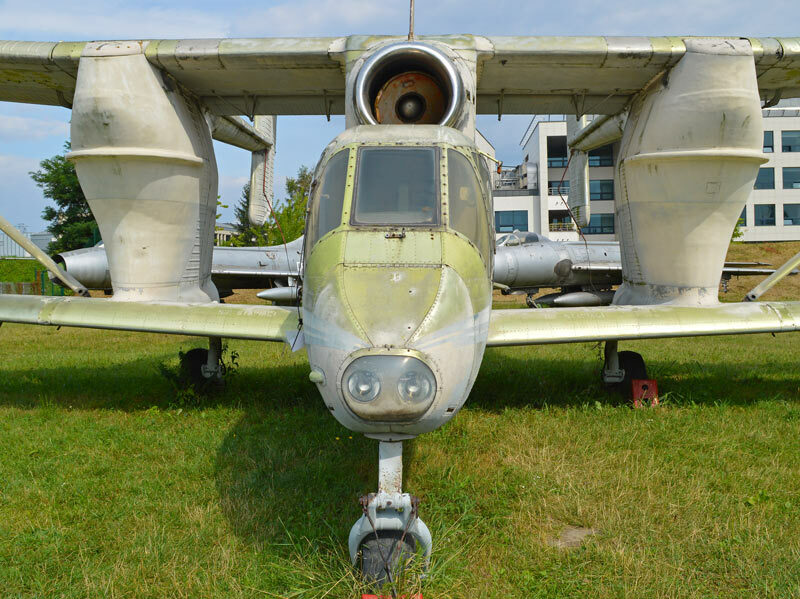 In front of many Eastern European airports, decommissioned M-15s are left as living testaments to the reach of the Soviet age’s agricultural reforms. It’s unclear whether there are any M-15s still in operation today, but it’s extremely likely that there are AN-2s.